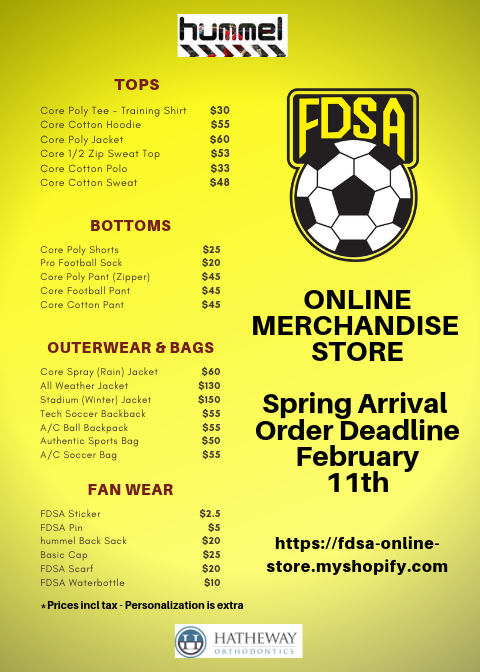 Want FDSA training gear or swag in time for spring tryouts in April? Deadline to order is February 11th. Visit our Online Store: https://fdsa-online-store.myshopify.com for a complete listing of all available items.